ScholarMan is a Maryland based hip-hop artist and producer known for socially conscious and soulful music. Various critiques and supporters have described him as a political artist; others have dubbed him as a positive artist, but ScholarMan describes his music as revolutionary. Revolutionary meaning his music is all of the above; and his mission is to bring about social change within hip-hop as well as our society through innovative and soulful hip-hop. In the late 1990s he started his own record label Else Where? Entertainment and released several underground albums and mixtapes. 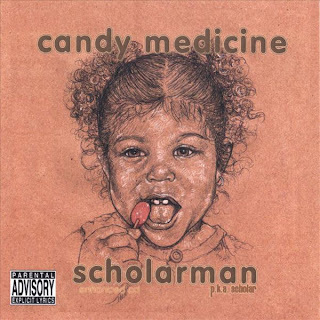 The highlight of these releases was ScholarMan’s first international release “Candy Medicine.” This album got underground praise and attention for its organic beats and intelligent lyricism.